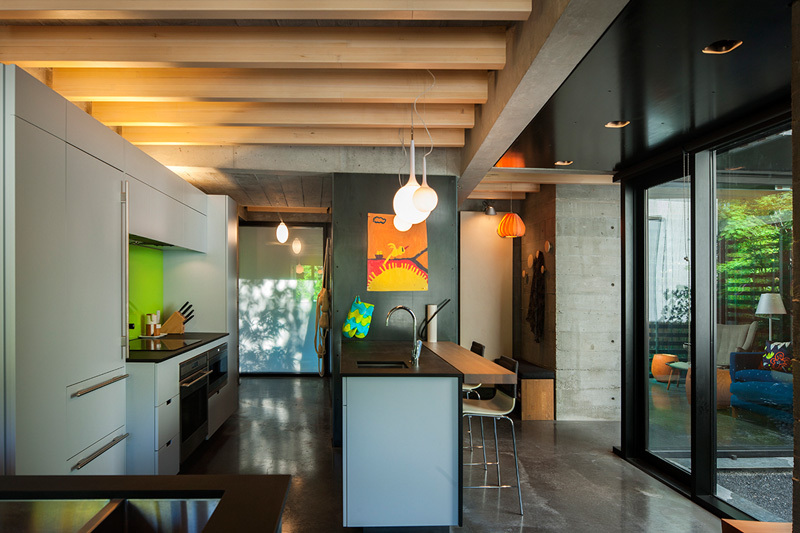 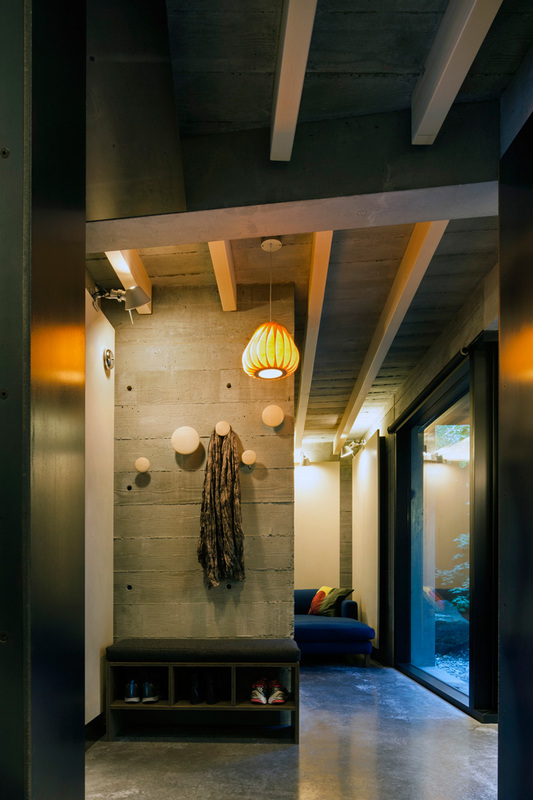 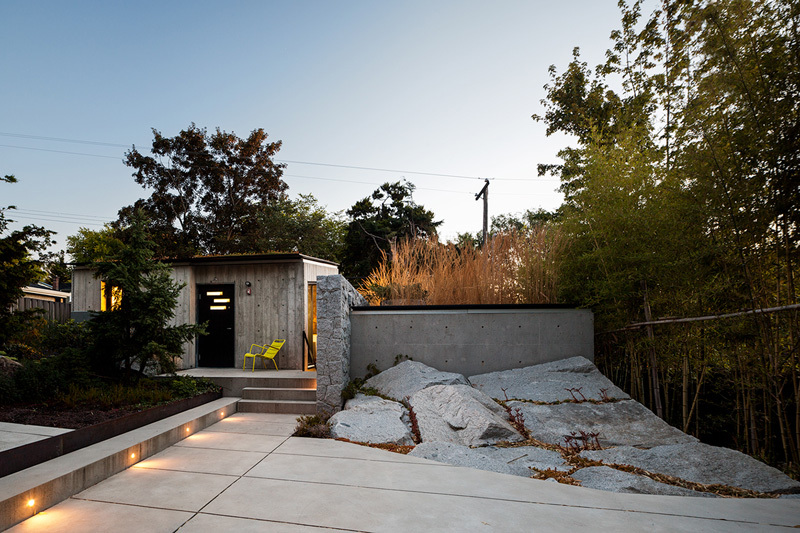 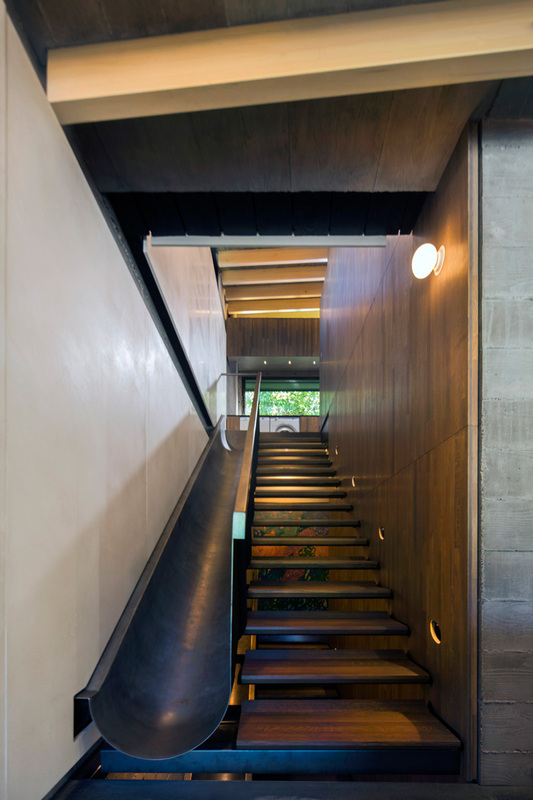 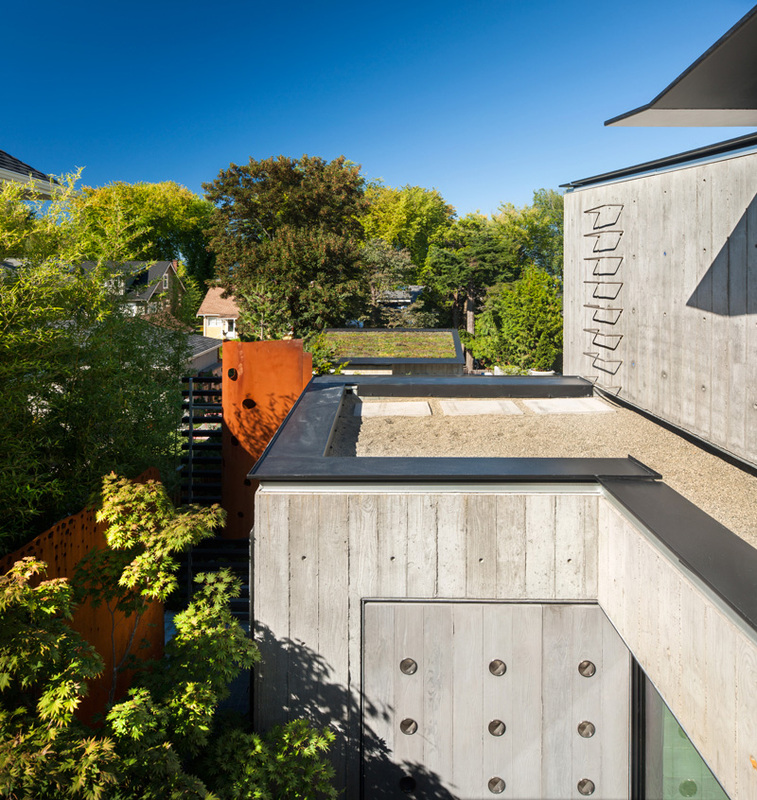 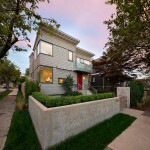 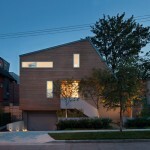 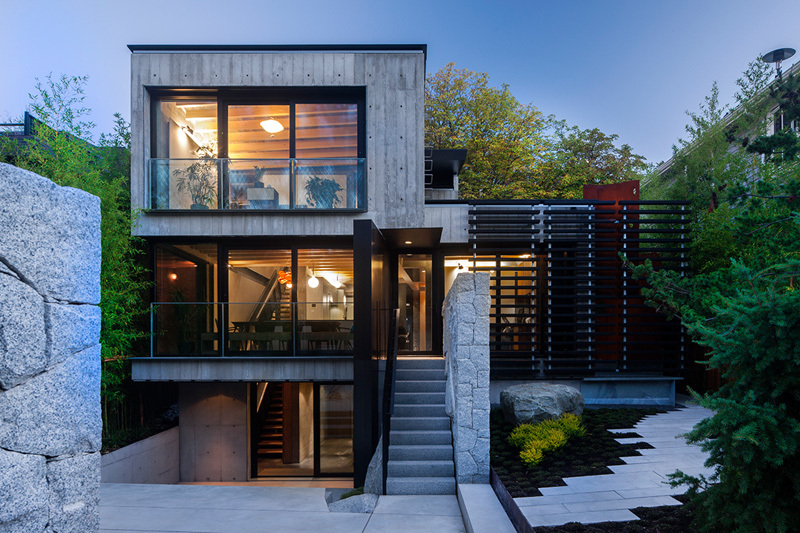 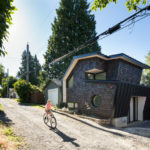 Measured Architecture Inc. have designed the Cloister House in Vancouver, Canada, that also includes a laneway house. 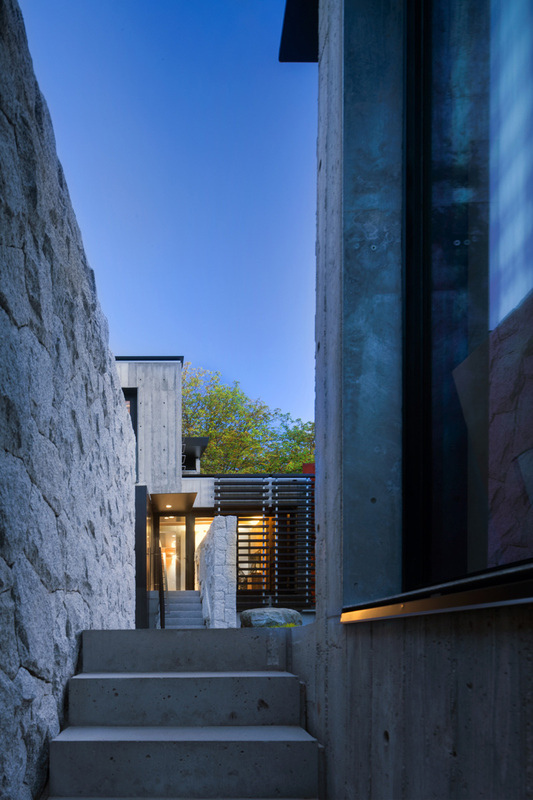 At its root, the Cloister House is a quiet refuge, a state of seclusion within the city, shared between a grandmother and her grandchildren. 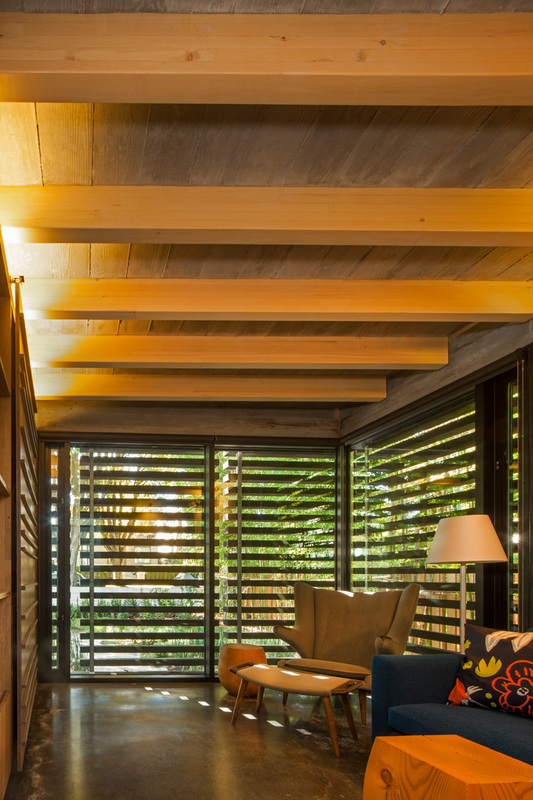 A finely crafted spine wall anchors the plan of the house, travelling from the front of the project to the rear. 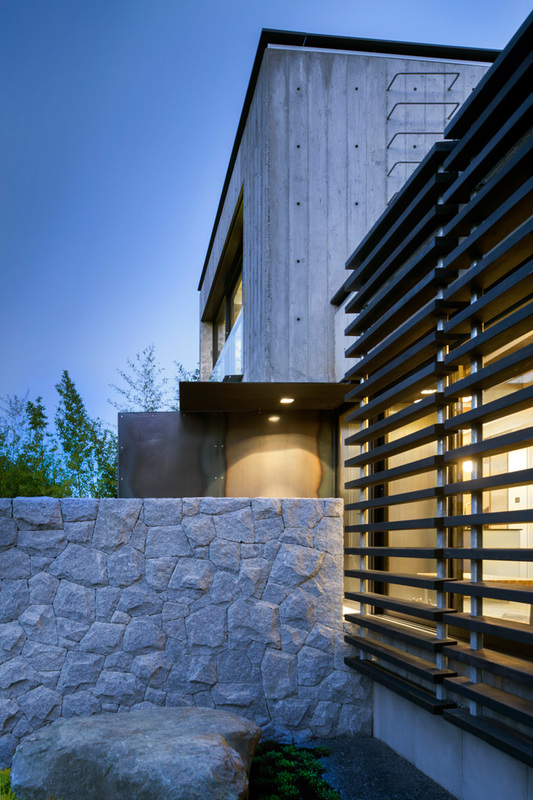 Whimsical kid-friendly elements are present, from an undulating boulder landscape to custom steel slides that run alongside the internal staircases. 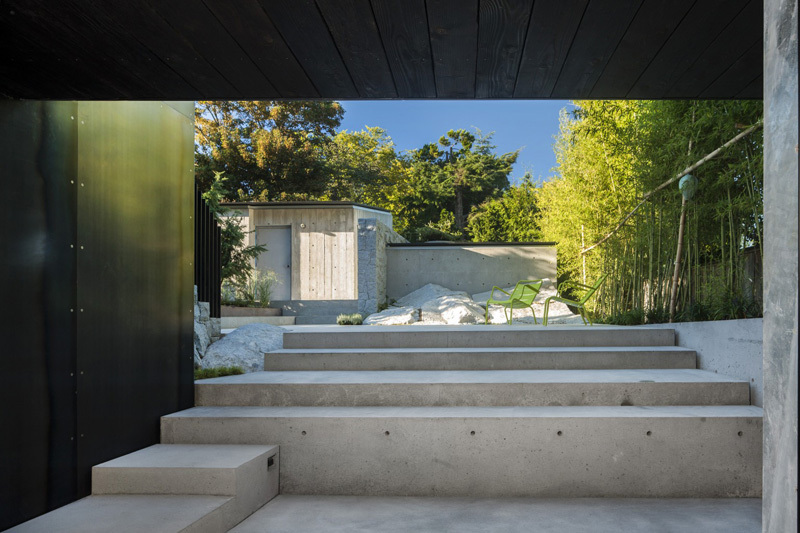 The hilltop site offers long views of the mountains and ocean which are balanced with shorter internally-focused views to the intimate pocket garden. 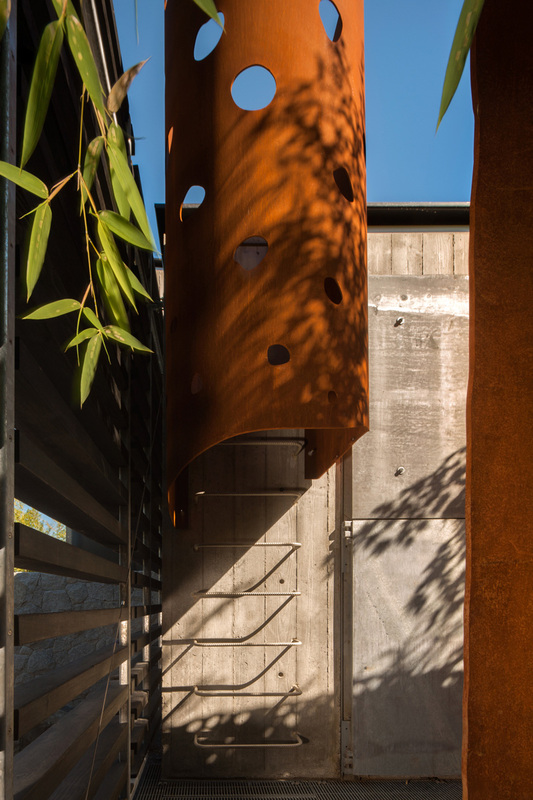 Local artist, Fei Disbrow, designed a weathering steel wall sculpture + ladder surround that serve as backdrop for the pocket garden allowing filtered light to enter while providing privacy from neighbours. 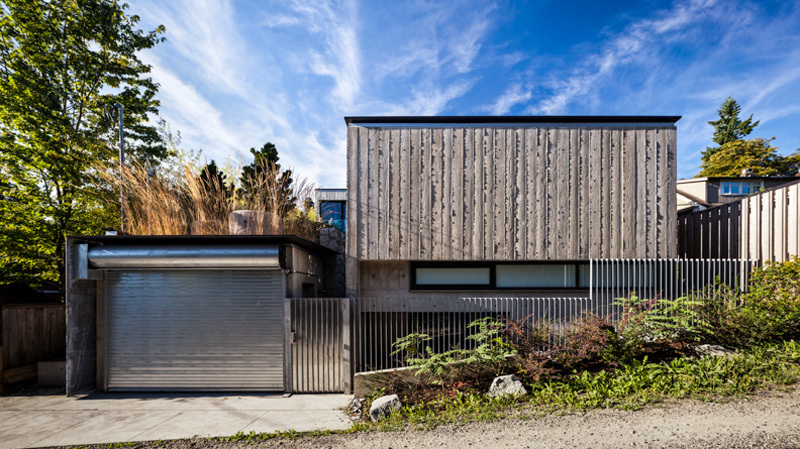 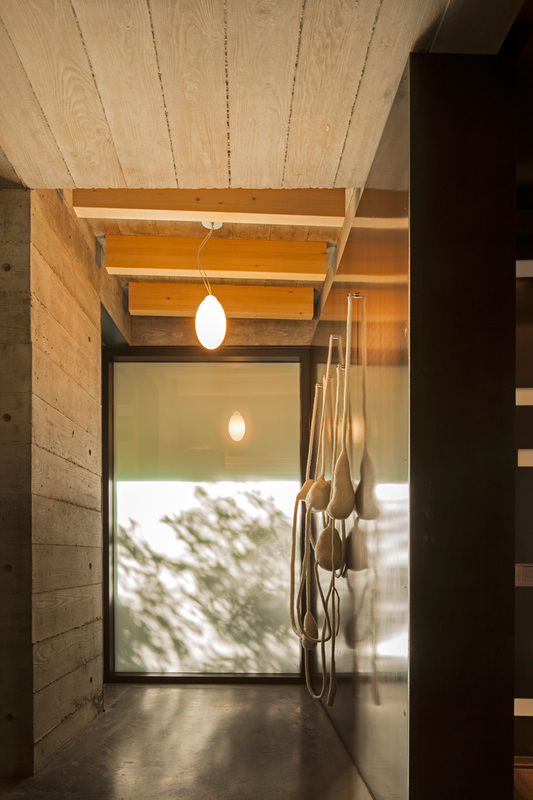 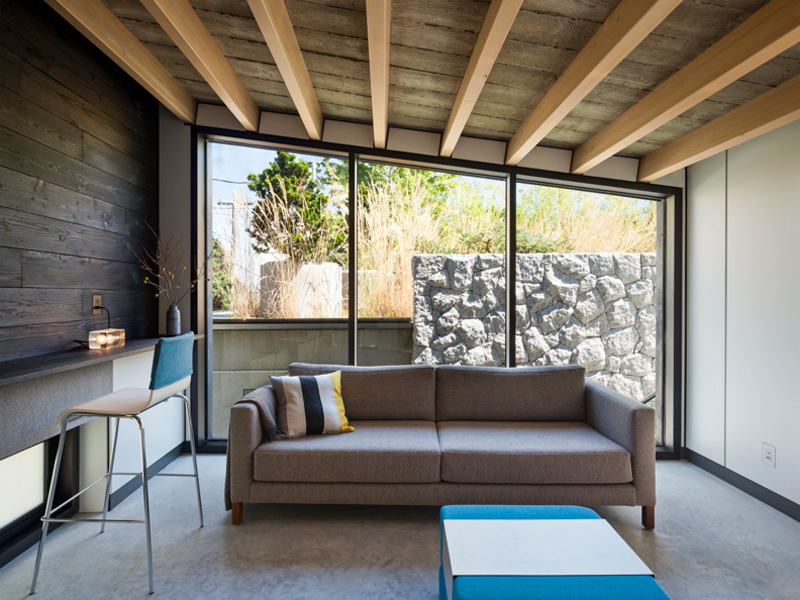 Materials commonly perceived as ‘cold’ were manipulated to achieve a palette of textural warmth inside and out: hand-worked masonry, charred board-form concrete walls, and blackened steel are the textural triptych which provide a sense of harbour. 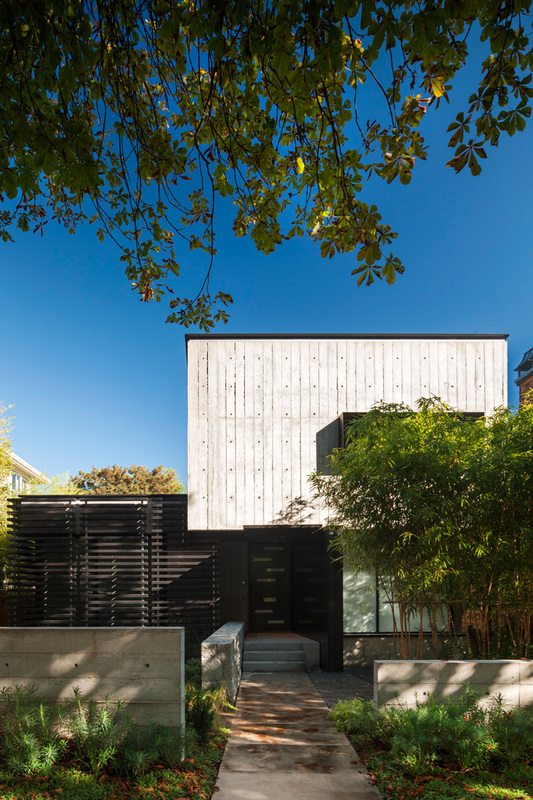 A small Laneway House (containing a dwelling unit and one-car garage) is an extension of the Cloister House. 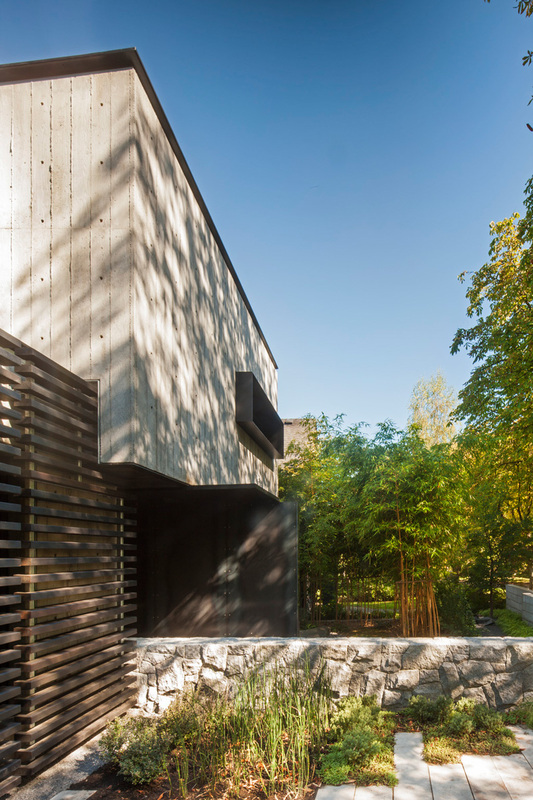 Completed after the main house, it became the final destination for unused building materials from the earlier project, such as the charred lumber. 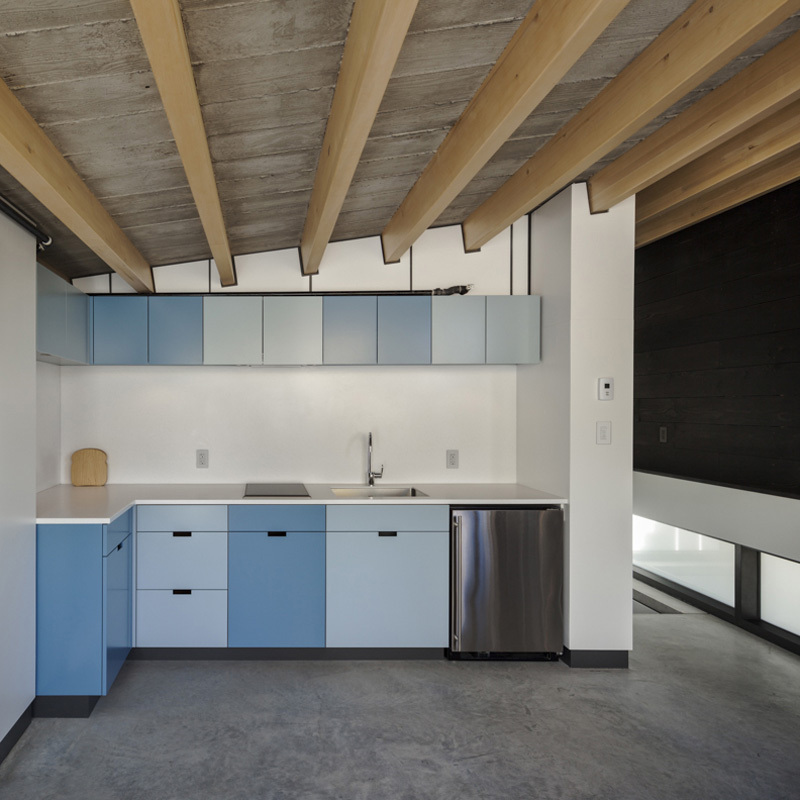 Its small size necessitated clever use of built-in storage and a singular palette of materials. 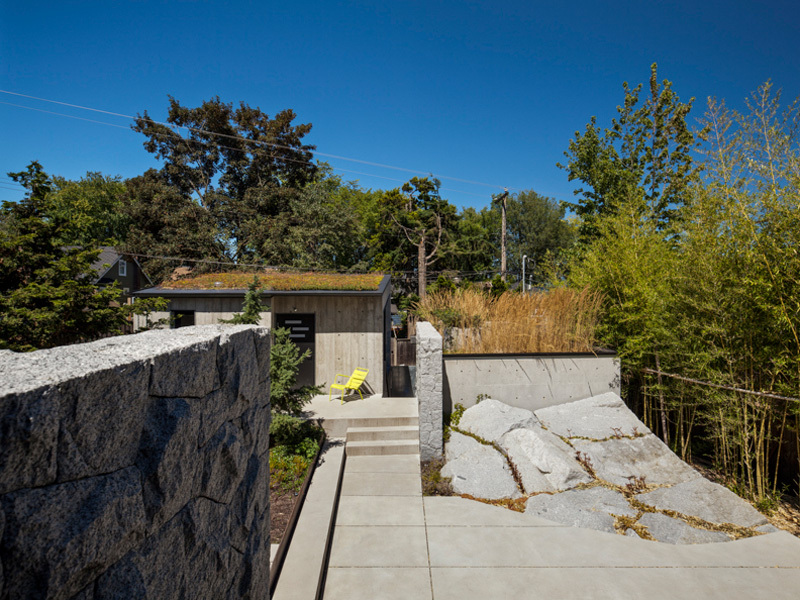 With the sleeping quarters subterranean, the building is carefully carved into the sloping site to complete the cloister feel of the project as a whole, providing a naturalized green roof view back to the main house, achieving light and livability for the laneway and maintaining privacy for all users. 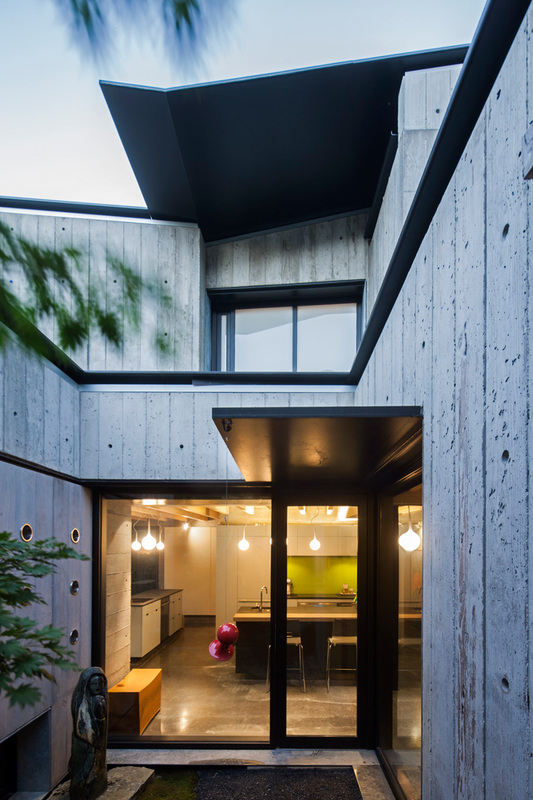 The overall design unites seemingly contrary characteristics: deliberate darkness, industrial materiality, organic landscape and playfulness.